Williams quotes “A few minutes after 9 A.M. on May 30, 2018, Williams was in the middle of his third set of dumbbell squats in the gym. “I was on about rep 15, and I heard this ‘pop,’” Williams tells SELF”. 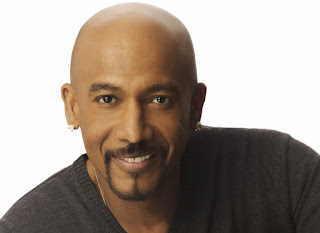 This past spring, typical workout session for Montel Williams took a scary turn when he found himself having a stroke in a New York City hotel gym. The television personality and host is speaking out about his health scare in order to help spark a conversation about stroke and stroke recovery. “My first thought was, ‘There’s nobody in this gym, so where did that noise come from?’ So, I look to the left of me where I thought the pop came from, and there was nobody there," he says. "By the time I turn my head back around in front of me, the whole gym starts to kaleidoscope and I have this wave of exhaustion come over me.” The side of his mouth started to droop and he began to drool. Fortunately for Williams, one of New York-Presbyterian’s specially configured stroke unit emergency vehicles was three blocks away when his wife called 911. They were able to do a CAT scan immediately and video-chat with the hospital to determine the right course of treatment (which includes blood pressure medication to stem the bleeding). “A doctor appears on the video screen and says, ‘Mr. Williams, you did have a stroke, and in fact it’s still ongoing right now,’” he recalls.